The defining factor of the SMOK GX2/4 TFV8 Big Baby Beast Starter Kit (that’s a mouthful!) 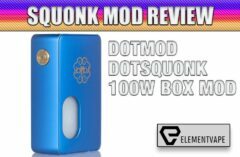 is that this box mod includes two battery compartment doors to accommodate both a dual battery setup or a quad battery setup. Use the dual 18650 cell back and the mod maxes out at 220W, or use the quad 18650 cell back for an additional 130W, or a maximum wattage output of 350W. The SMOK GX350 is a SMOK box mod that could also fire with 2 or 4 batteries, and reach the same maximum wattages of the GX2/4. However, the SMOK GX2/4 includes two battery covers that will accommodate the dual battery design and the quad battery design. 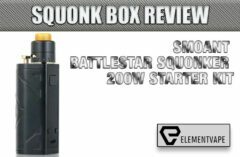 SMOK discovered that having the ability to run a powerful box mod with two or four 18650 cells was appealing to advanced Vapers, the method of doing so made is not-so-appealing. Since the GX350 remained the same size, whether two or four batteries were used, most Vapers don’t bother taking advantage of the choices they had. SMOK learned that most owners of the GX350 kept the device stocked with four 18650’s. Accordingly, the SMOK GX2/4 was designed to make the choice between dual or quad setups an easier task. The second, and just as major, difference between the GX350 and the GX2/4 is the OLED display. On the GX350, the display sets atop the mod, and is roughly half the size of the display on the GX2/4. The display being used on the GX2/4 is the same 0.96” high-quality display used in several other SMOK box mods. More on this display below. 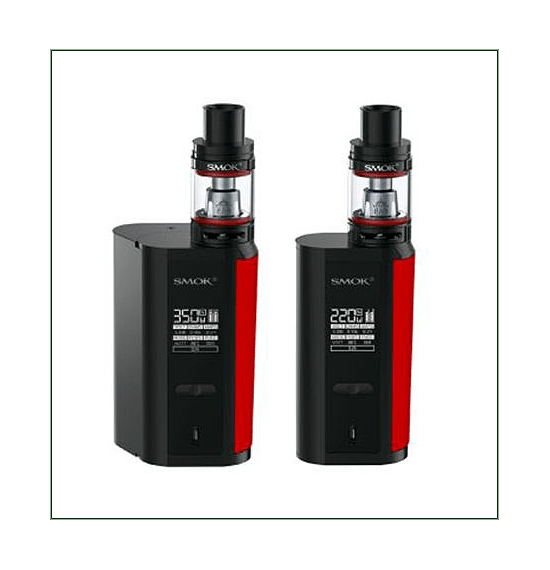 The removable and replaceable battery doors, and the size and placement of the OLED display are the only noticeable difference between these two box mods. By changing things around a bit, SMOK has been able to bring to market a GX350-like mod that can convert into a 220W slim box mod with a large 0.96” OLED display on the front of the device by using the dual cell battery door, and for the full 350W, the user would change out the battery cell door that contains two additional 18650 cell compartments, for a total of 4x cells. As you can see by the Photos, the difference in overall body size is remarkable. It should be noted that the GX350 Kit comes with a TFV8 Cloud Beast Tank, while the SMOK GX2/4 Kit comes with the TFV8 Big Baby Tank. The SMOK GX2/4 uses a “push button” release under the device to remove the battery door, which also serves as the entire backside of the mod. By pressing the release button the user can switch between battery covers in no time. Each battery door, or cover, is a high-quality panel designed to fit the front portion of the mod with precision. SMOK continues using the full-length Firing Panel for the GX2/4, with both configurations, and both are ergonomically sound in either configuration. The GX2/4 features the same powerful chipset of the GX350 and SMOK Alien, though the Alien has been throttled back to 220W because of the dual-cell limitation of the design. This chipset, or board, allows for full temperature control modes and can push a large display with all the data feedback you’ll want. When using two batteries in GX2 mode, the mod size is 26mm wide x 46mm deep x 87.2mm high, and it weighs in at 137.2 grams. Interestingly, while in the GX2 configuration it is the smallest, slimmest, 220W box mod on the market. When using four batteries in GX4 mode, the body shape changes from a smooth rounded rectangle to a sort of ‘rhombus’ shape, (a real word), and when configured this way it measures 59mm wide x 44mm deep, still 87.2mm high. It weighs 204.9 grams. The edges of the SMOK G4 configuration are still rounded, but nearly twice the size of the GX2 configuration. The 0.96” OLED display organizes information about mode, voltage, temperature, resistance, amperage and battery level in both the two- and four-battery configurations. The SMOK GX2/4 uses a gold-plated 510-connector, with spring-loaded contact points to ensure tight and secure connections when using the Big Baby Tank or just about any other Sub-Ohm tank you might want to use. My own experience with the GX2/4 shows that the Big Baby Tank looks the best while using the mod in the GX2 configuration, while in the GX4 configuration I preferred the TFV8 Cloud Beast, or the TFV12 Cloud Beast King. These larger SMOK Tanks looks a bit oversized when placed on the GX2 configuration. 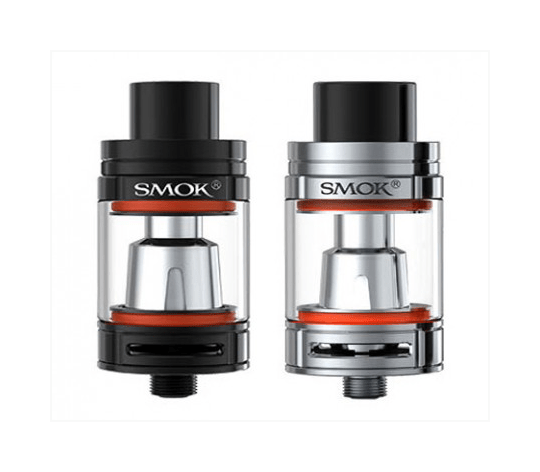 The SMOK GX2/4 can handle wide Tanks, but there is some overhang when using Tanks that are more than 24mm because as the 510-connector isn’t placed directly in the center. The SMOK GX2/4 is paired with one of my favorite sub-ohm tanks, the SMOK Big Baby Beast. The TFV8 Big Baby tank has been a huge success among Vapers because of its wide selection of Coils, plus the hinge-top fill system, and the amazing flavor and cloud production from just about very Coil. With a 5mL juice capacity, it is a good Tank for the Kit. While the Cloud Beast is an option when using the larger battery back, SMOK couldn’t include the Cloud Beast in the Kit because it wouldn’t fit correctly in the dual-battery configuration. The SMOK GX2/4 Kit includes the V8-Baby-Q2, and V8-Baby-T8 coil heads for the TFV8 Big Baby. When using it in GX2 (dual cells) it is the slimmest 220W mod around, and for me that is a huge selling point. Delivering 220W in this configuration makes the GX2 configuration very desirable. Terrific accuracy for my settings, including Soft, Normal and Hard pre-heat settings for that extra oomph. Lastly, that awesome display on the front side of the mod is so much easier to see and comprehend than that of the GX350. 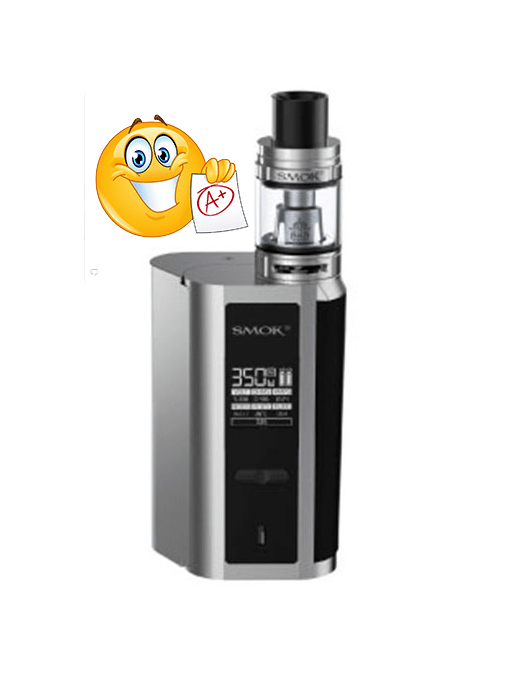 Jumping over to Vapor Authority you can see that the SMOK GX350 Kit is sold for $99.99, and the SMOK GX2/4 Kit is just $69.99. Considering the versatility of the GX2/4, and spending $30 less for the Kit version, the value easily goes to the GX2/4. The only minor drawback is the tank, the GX350 includes the TFV8 Cloud Beast and the GX2/4 includes the TFV8 Big Baby. The $30 savings for the GX2/4 allows you to pick up an extra tank, a set of batteries, or a couple of pack of replacement coils. Since I come from a computer background I can see SMOK placing the GX350 in a ‘End of Life’ position. That means SMOK would not manufacture the GX350 and would allow the remaining stock to be sold off. To me, there is no longer a need for the GX350 when the GX2/4 can replace it easily, along with providing an option to operate a 220W box mod that is the smallest on the market with a simple battery door replacement. The SMOK GX2/4 Kit brings a lot to the table, and at $69.95 at Vapor Authority, you can’t go wrong if you want a dual-use mod. My Score for the SMOK GX2/4 is a big fat A.